Reflections and Ruminations: The importance of celebrating Easter repeatedly. There are celebrations in the course of our lives that we routinely celebrate and observe perennially. Birthdays, anniversaries are good examples. These somehow remind us that we are getting on in years, and that we have made it through another 365 days. If we want to be technical about it, we could simply say that it was a marking of the earth’s coming back to the point in its orbital path around the sun to reach the place where it was exactly a year ago. Religious events that are celebrated and observed on an annual basis have a dimension that goes beyond just marking of an ‘aging’ of something. If they are truly fundamental to our very being, celebrating them and observing them in a purposeful and meaningful way brings their importance to the fore of our consciousness. More importantly, they remind us of why we believe what we believe, especially when the core of our belief is something that is strongly incongruent to the ways of contemporary thinking and philosophies. Yesterday, the Christian world celebrated once again the bedrock of our faith and belief – that Jesus Christ was raised from the dead after his brutal and ignominious crucifixion three days before on Golgotha, on the outskirts of Jerusalem. The celebration of Easter marks this momentous event, and we as Christians become terribly impoverished if we cannot say with great clarity that this is what gives Christianity its unique and outstanding position amongst all other faith beliefs. If our belief in Jesus Christ is that he was merely a good teacher of ethics, moral codes and a very holy person, and that is why we are Christians, I’m afraid we are basing our belief on shaky grounds. It would then mean that Jesus was just a very good man. And there have been so many good and morally upright men through the ages. If this is the case, then the argument that “all religions are the same”, which is an argument that “spiritual but not religious” people spew cannot be seen as flawed. There must be something about Christianity that empowers it to be so unique, so singularly exceptional that gives a Christian a confidence not just in life, but in death, which is the last bastion of anyone’s life. The fact of the empty tomb of Christ has then to be the reason par excellence for our justification of calling Jesus not just a good man, not just a moral man, not just a holy man, but God. No other person in the history of humankind has won the victory over death, and only God can defeat death. That he calls us to follow him so that we too can have life eternal like he did is the promise that he gives to all Christians. However, this is not a promise that comes without a price. He paid for it dearly with his life, and the way to this promise of eternal life is to live as he lived and to love as he loved – right to the very end. Perhaps we don’t appreciate enough the enormity of the price Jesus paid for us to have this hope in our lives of eternal life. His triumph was not just a singular one of life over death. It was a culmination of all the other triumphs of Jesus as well – in triumphing over death, he also triumphed over doubt, fear and loneliness. The empty tomb vindicated his belief that in life, it is always better to give yourself over to love than to hatred and bitterness, always better to be charitable than to be selfish, always better to live with forgiveness than to live for revenge, always better to live in honesty and truth than to resort to lying and deception. Simply basking in the fact that Jesus did all that isn’t enough for us Christians. If Jesus says that he is the way, the truth and the life, then it has to mean that our lives have to mirror these triumphs as well if we are to emerge from the sealed tombs of our lives. This is germane and apposite for any life that is seriously Christian. Otherwise our Christianity may only be one that is just nominal at best. 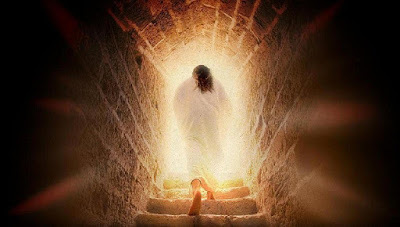 The price that Jesus paid had a great payoff – he walked out of the tomb and left sin and death in his wake. Death was conquered. If we want to follow him out of our tombs, we too need to triumph over the same challenges as Jesus, doing it with great love. 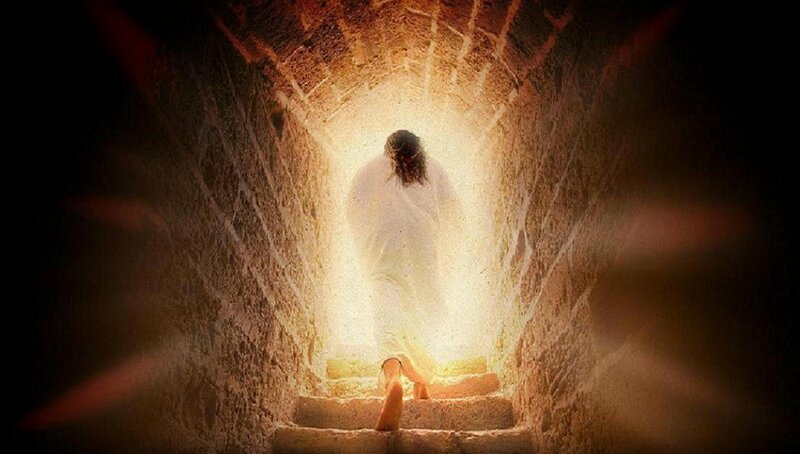 May you, my dear readers, have a blessed and holy Easter. The Lord has risen! Alleluia! Blessed and Holy Easter to you! And Bishop Sheen calls this the ROMANCE OF REPETITION…..and that seems to be what you are actually advocating……for repetition keeps us focused on our goal of eternity. In another verse, he stressed on this great truth that Our Resurrected Lord revealed to Mary Magdalene i.e. “that He was no longer to be seen under the form of time and in the world of sensations, but only by the soul and in the world of eternity……..” and so each Easter, we need to stress strongly the Eternity Of Easter…….the citizenship in the Kingdom of Heaven - (won for us at such great price) - whereby the Risen Christ sits eternally at the right hand of God. We need this repetition…………..lest we forget !